Recently Philippines was battered by typhoon Maring, which left some of our fellow Filipinos homeless and some have lost loved ones. Some however are already starting anew and moving on after all life goes on. 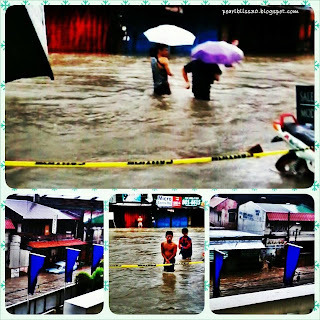 here about our experience during the said typhoon. It isn't the worst experience of all however, there's a lesson learned since we weren't really prepared during that time. It's rainy season once again so we could expect more episodes of raining or if worse comes to worst another typhoon. So I personally created a Guideline on the things that needs to be done during emergency situation such as typhoons. It's always best to be prepared than sorry. Before and during the typhoon it's best to keep yourself updated with the latest weather report. Store adequate supply of water. At home we have 2 (5 gallon) water container we are actually planning on adding another one. Since we have a baby we also store about 2-3 (6 liters) of Wilkins water just to be safe. As for the food, we do our grocery/market shopping bi-monthly. So aside from our 2 weeks supply of food, we have to prepare foods that could last at least a week for emergency. This foods should be non perishable and easy to prepare. 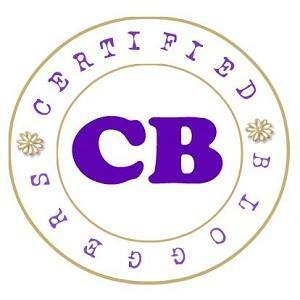 Cerelac, Gerber or any baby foods that are easy to prepare if you have a baby. Should anything happen it's best to have this. Alcohol, Cotton, Bandage and so on. If you are on maintenance, taking daily vitamins/supplement store at least a month supply or more. If the electricity shuts down you should have candles, match/lighter, Flashlight, Emergency Light, radio to stay updated and mobile phones. Avoid making unnecessary calls to avoid network congestion. Have extra batteries if possible. Make sure to store all the Emergency Hotline numbers on your phone, have it written as a back up or try to memorize them. and blanket if possible. It's gonna be cold the children would need it. All of these should be stored where they would be easily accessible. And try not to panic during emergency situations as this could lead you disoriented. You have to stay calm and focused. Try to create an emergency/disaster plan especially if your place is prone to massive flooding and there's a need to evacuate. Try to assign task to each family members, it's best to have everyone involved with your emergency plan. So that's what I have thought about, it's shortlisted and based on my family structure.Have I missed out on anything? Feel free to share your own tips, would love to hear them! The past 4 days had been a great challenge to all Filipinos and it was brought by typhoon Maring. 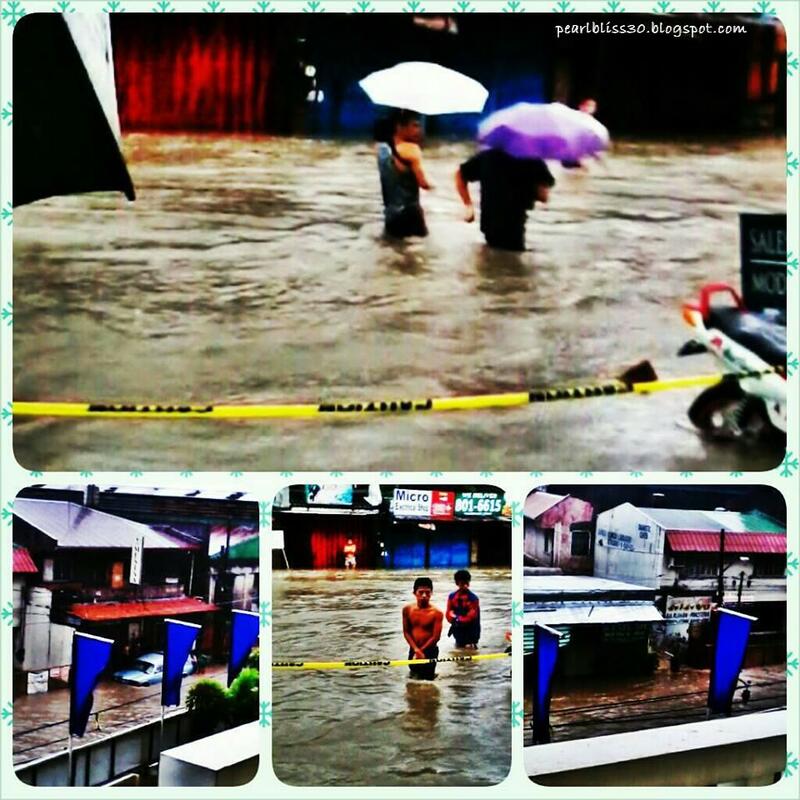 It caused massive flooding in many areas including Las Pinas, where we live. It's so saddening to hear news like people getting injured, properties ruined and what's worst some got killed. My heartfelt condolence to all families affected. In times like this, our faith is being tested, we may question Him as to why this happened. Nevertheless, it's up to us how we see adversities, it could either make or break us. Moving on, although not as worst as it is, I and my family also had an unpleasant experience during the typhoon. It started Sunday, it was just me and the kids J went to work early. Early evening my in laws arrived brought some stuff for us. (J and his family are originally from Tondo Manila, they have 2 houses there plus an apartment and it's just a few distance walk to Divisoria). They shopped and bought some for us. Kuya Tantan got excited he already wore the clothes and started to color! And a dress for me! Later that night, J called and told me that it was raining hard so he might go home late. I wasn't really aware that it already started to rain, because me and the kids tend to stay indoors all day, our windows are covered with thick curtains and it's made of glass so we barely hear noises from the outside. By the way, J is commuting all the way from Mandaluyong to Las Pinas so his normal travel time is an hour and a half. But since it was raining he arrived late that night, it was around 10pm already. Glad he arrived safe and sound. So we then all went to sleep. But in the middle of the night we were awaken because the electricity went out, although it was raining it was still hot so we opened the window however the thunder's just too loud so we closed it again. Good thing the electricity went back. Monday morning came, my in-laws left early for work but unexpectedly came back. Guess what, there's a massive flood outside. Our Unit is located on the second floor so I was able to see the situation around our place from our window. The street surrounding the Condominium. So J didn't go to work as well and just called in to inform about the situation. Then again the power went out but this time it's for the whole day. Most of the time we slept, got nothing to do and we only had bread for lunch. Since there's no electricity we weren't able to cook, actually we could but we don't have a lighter or a match stick. Because we're used to rely on electricity for that. We weren't prepared at all for this. But before it got dark we decided to borrow a lighter from our neighbor. We then cooked the remaining stock of meat from our ref. That's our first meal of the day it was already 5pm. The electricity went back around 8 in the evening already, good thing because the kids could sleep well. Tuesday morning J and my in laws again weren't able to go to work. Although the flood around us already subsided, when they reached the Coastal Road they were sent back home, because some areas are still not passable. So J and her sister just went to Market it was within walking distance to buy food. 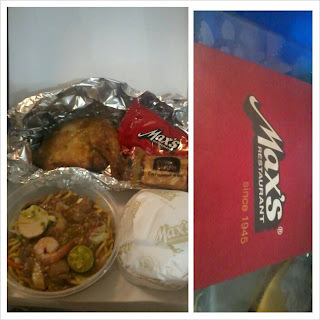 We had champorado for breakfast, macaroni soup for lunch and pork tocino for dinner. Wednesday, it was still raining but not as hard as it was compared to the past days. No work since it's a holiday but not for J. But he was running late so he just went to work the second half and extended his shift. My in laws on the other hand were able to do some task that was left undone since they got stranded at home. As soon as they finished they went home and took Kuya Tantan with them, so it was just Me, baby Athena and my sis in law who's left at home. Where I was able to go online and do some of the things I used to do. Then when my in laws arrived they just brought home a meal for me and my sis in law. Oh what a relief, since for the past days we only had canned goods and foods that was easy to cook. So that's what happened 4 days ago, and today so far so good. J and my in laws were able to go to work. It wasn't raining early this morning, but now it is again but not that hard. Indeed some days are better than the other, but that's okay because I'm with my family and that's what matters the most. Well right now all I'm hoping is for things to be alright. "There's a rainbow always after the rain" Can't wait to see Mr. Sun shining down on us and of course a colorful rainbow a start of new hope. Opening our door when someone knocks has never been this exciting. If before, all we receive from our front door are electric, telephone, internet bills and so on nowadays it's some mystery packages, the prize from all the online contests I participated to. And yesterday I received another Special Delivery! White,smooth clean packaging. What's inside? Mom Gone Vain and guess what, I won her Giveaway sponsored by Czara's Hair Pieces. And yesterday just 5 days after the announcement I already got my prize, yey! They are too pretty not to take photos wearing them but yesterday wasn't a good day for taking photos. It was a busy day I did some house cleaning and was to tired to look good on photos. And today is just perfect also because it's J's day off so someone would take our photos (hihi). Alright so here's my baby and I showing off the hair pieces we won. Since I love dressing her up this hairpieces would definitely complement any outfit she wears and would make her more charming. Love it! You could actually see more designs on their Facebook page, Czara's Hair Pieces plus they are hosting their first ever giveaway check them out now and you might win an original Hello Kitty items! I don't usually join contests especially the raffle type. I always thought to my self that I don't have any luck to it, well basing on few raffle contests I joined previously. But this has changed big time ever since I started participating online contests//giveaways. First of all I found about this from a friend Lovely Joy Merced author of Bundles of Joy. Since we have an internet connection at home and I'm everyday online, I gave it a try and it suddenly turned into an addiction. Yes at first it's kinda boring coz you have to do it everyday to earn more entries if you wish to win and the feeling when you don't win at the end is just saddening. But instead of concluding that you're unlucky, try to think of it the other way around, maybe it's not for you. And that changed my perception towards contests. Well in life we win some we lose some, when you lose you become more determined and that way winning is so much sweeter. Just like me, I had my share of losing but also gained a lot not just the prizes I won from winning but I was able to meet new friends on the process. Anyways, I started participating online contests just last month (July) and I would love to share my winnings from then, not to brag but so somehow inspire others and change their perception just like what happened to me and also maybe a way of saying thank you to all the bloggers who gave me the opportunity of winning. I know it's already too late for me to be blogging about my July hauls, I was actually trying to complete them all but too bad I don't have it all on hand yet but decided to share anyway. ALright, so the first time I won a 30 pcs. 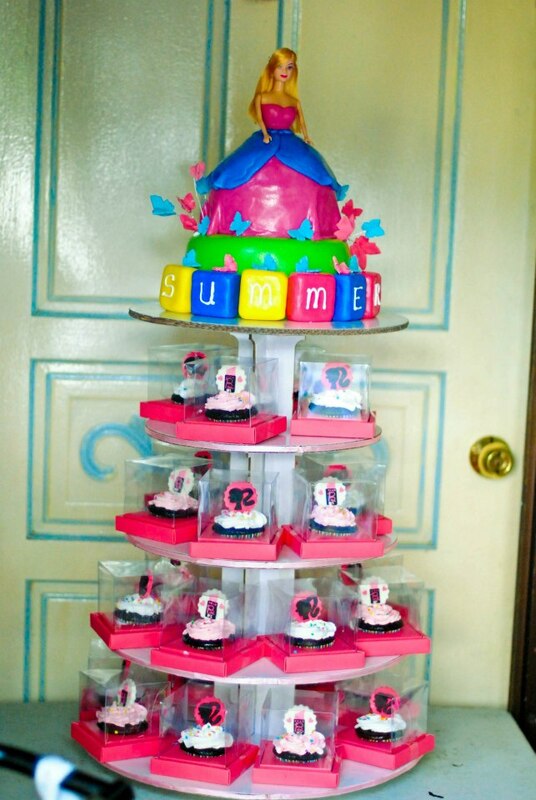 personalized cupcakes from Delishaes Cakes. 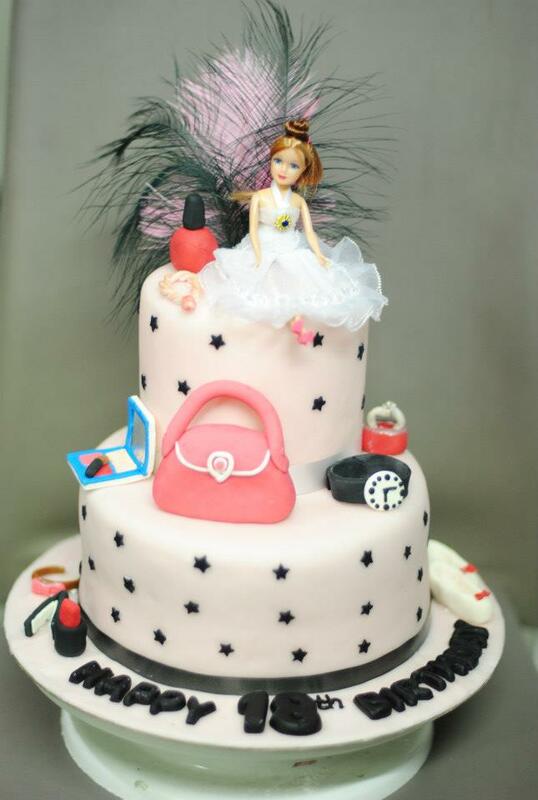 They are party themed cake supplier who happened to have an ongoing giveaway by the time I found out about them. I posted about it HERE. 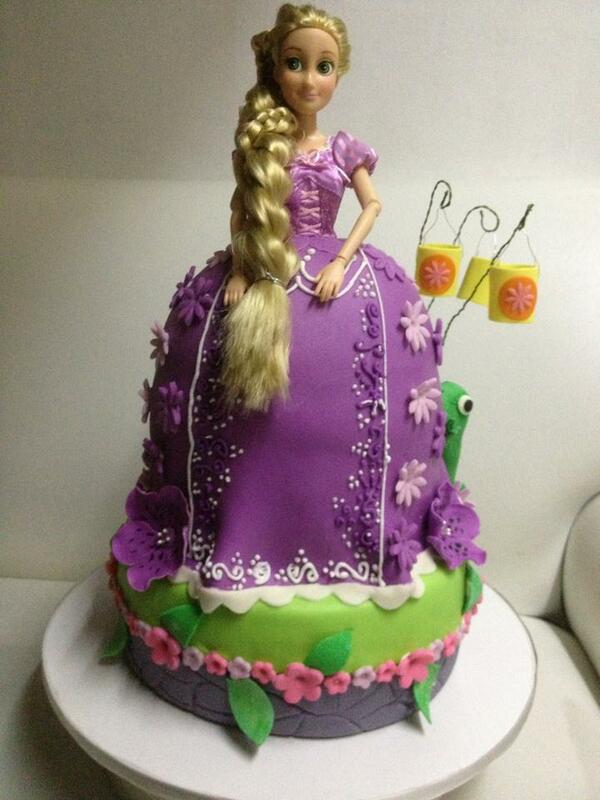 I won this for my baby Girl's 1st birthday this coming September so I don't have any photos to share yet. 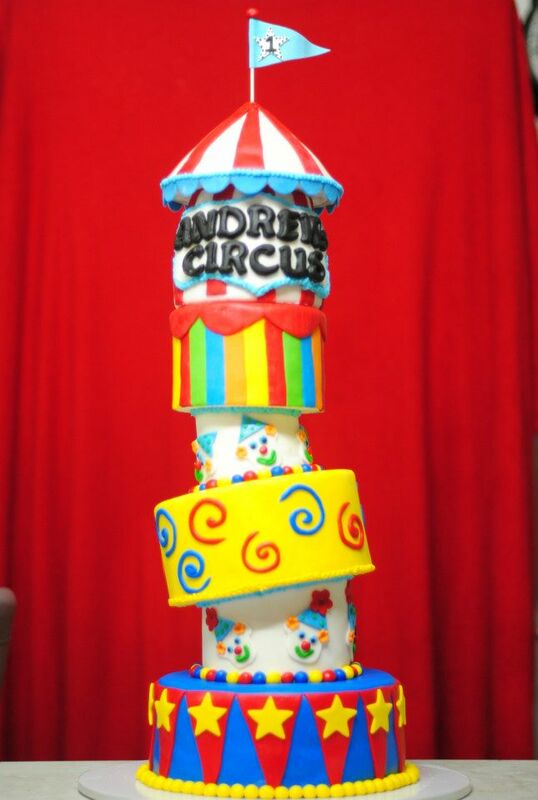 But here are few of the cakes they make. Looks good right? I bet they taste good as well, I really can't wait for September. Aside from the cupcakes I've won I also decided to order the cake from them, my baby Girl's party theme is Barbie and until now, I haven't decided on the design yet I'm thinking of something more personalized. 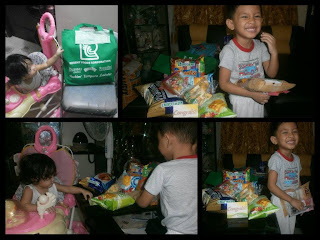 Ok moving on, after just a week I won from BeBengisms Bact To School Giveaway Sponsored by Regent Foods Corp. It was a contest for 6 weeks I guess and each week there are set of winners and luckily I won on the 4th week. So after the entire contest period my prize was shipped right to our doorstep by Regent Foods Corp. I think I must have deleted some photos, good thing I was able to post a collage on facebook right away to thank Ms. Denise of Bebengisms and Regent Foods. Corp.
Kuya Tantan and Athena checking the foods out, they are so happy and I like the Green bag too I can use it for grocery shopping since we don't use plastic here in our city. 2 days before July ended I again received an email, yes for the third time around I won in another online contest yey! 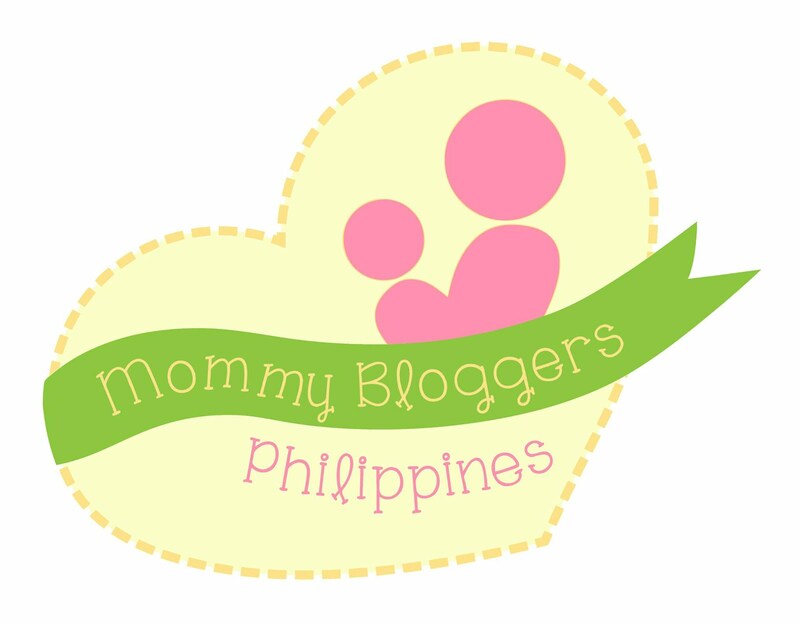 It was a month long anniversary hosted by Louise of Mommypracticality. Every week different prizes and I was lucky enough to be one of the 5 winners on her 4th week giveaway with the Health and Wellness Package! Though was only able to take a hold of my prize yesterday because the prizes aren't to be shipped, I have to personally claim it from her or have a representative claim it for me. But for the past weeks we didn't have the time good thing Jaear (my husband) had an appointment in Makati so he dropped by at Louise work place to claim the prize. 2. A bottle of Myra 300-e - contains 30 Capsules good for 2 months. I would really love to try this but it's not recommended for pregnant women so I might just give it to my in law. 3. Human Heart Nature Shampoo- I've been hearing a lot of good things about the product, it's 100% natural, with peppermint scent which smells so good and refreshing and it's for hair strengthening, perfect for my damaged hair. 4. Swish Mouthwash- Because brushing is not enough hehe, talking about health and wellness :) I'm interested with the flavor Mangosteen Mint! 5. Ph care Feminine Wipes- Variants of Cool Wind and Passionate bloom. It's a ladies must have. I love the scent, i love it because it's handy can fit into my purse and most of all it will keep me feeling fresh and clean. 7. Celeteque- Anti stretch mark cream, this is my favorite it's safe to use even while pregnant I can't wait to try it! 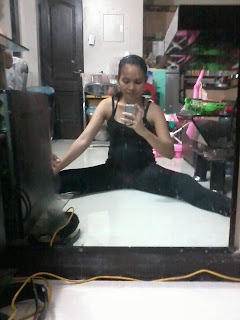 Lastly, I ended July with another winning hooray! 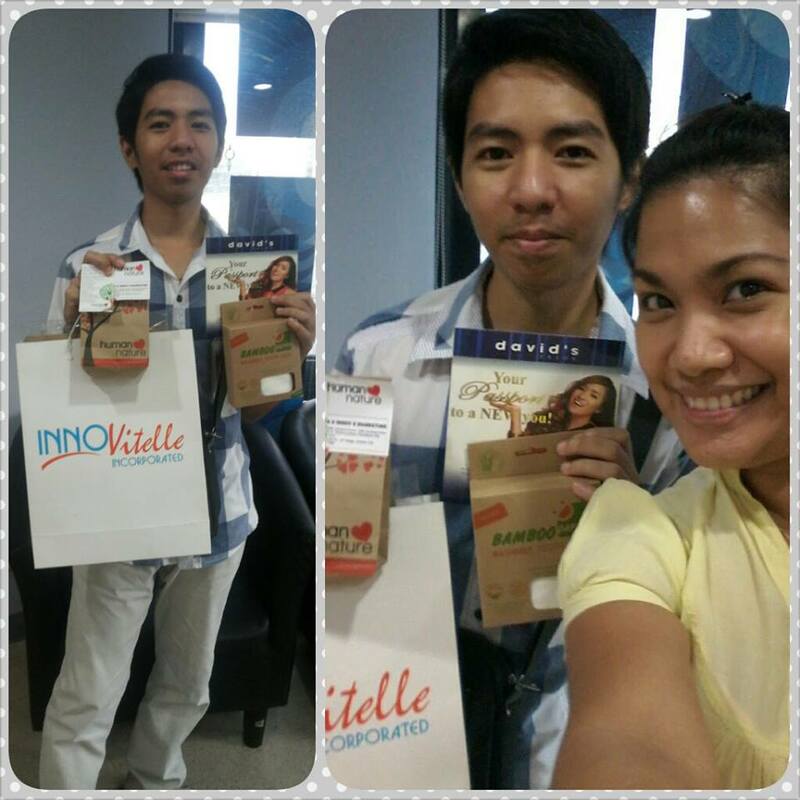 Another Health and Wellness prize but this time its for Kuya Tantan. I won a complete set of Champs Chewable Vitamins. 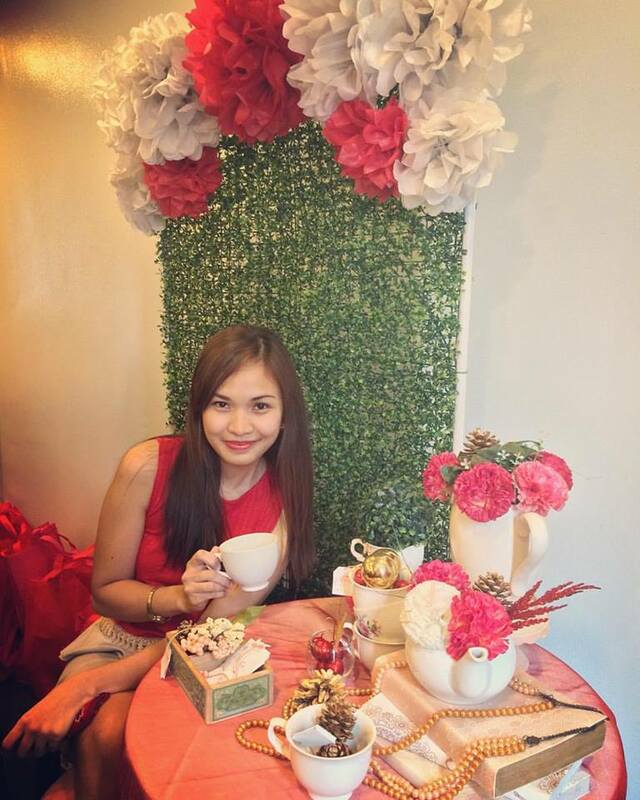 It was hosted by Ms. Cj M. De Castro of Planeville Mom. Like me maybe it's your first time hearing about this vitamins, it's a product of CCM International Philippines Inc which was recently awarded as Guardian Customer's Choice Award 2013 under Kids Supplement Category. I'm so excited to try this to Kuya Tantan but unfortunately until now our prizes weren't shipped yet and we haven't heard anything yet from Ms. Cj since she announced the winner. I wonder what happened, but i'm hoping that everything's alright. Anyway I can still wait for it. Since I don't have the prize yet I don't have my own photo but just grabbed this from Planeville Mom's page, I hope she don't mind. Anyways I just wanna share my latest food imbento, which I call Sardinas Patty hehe can't think of anything creative to name it so yan na lang lol. Well, I don't know about you but I like Sardines I remember growing to this canned good since I was a child my mom would even cook it with malunggay leaves (sa province kase namen mahilig kame sa gulay :p). On the other hand J (my husband) doesn't really eat sardines until we lived together pero as much as possible ayaw talaga nya. But just a week ago we ran out of stock in the kitchen, nothing left except for Instant noodles and Sardines. It was raining so we can't go out to shop and didn't want to call for a food delivery so my creativity kicked in and that's when the Sardinas Patty was invented. So here's the easy steps to make your own Sardinas Patty. First, you have to separate the sardines/fish from the sauce/sarsa. Second, Smash the sardines/fish. Your choice if you want it finely smashed or if you want it to have chunks. No need to add seasoning or salt, as the sardines has a strong taste already. Easy to prepare, easy to cook! And it tastes good, Winner kay J he didn't even expectt it was Sardines. It tastes better with ketchup. And of course you wouldn't wanna waste the Sarsa/sauce so I just sauteed it with onion and poured over my rice, as if I can except J to do it haha! So I just cooked chicken noodle soup for him and Kuya Tantan. So there you have it, my latest invention para maiba naman. It's very easy, you can try it on your own. Lately I notice that I've been spending too much time in front of the computer. Since my husband works day shift this month of August the computer is mine all day (lol) except of course when I get to do house chores and when my little bosses (my 2 lovely kids) aren't behaving well. Do you know what's keeping me entertained? Online contests! It's been a month already since I first joined and with my first winning which I created a post here I was overjoyed that I wanted some more. Another thing is that I'm also entertained reading different blog which inspired me to create my own. 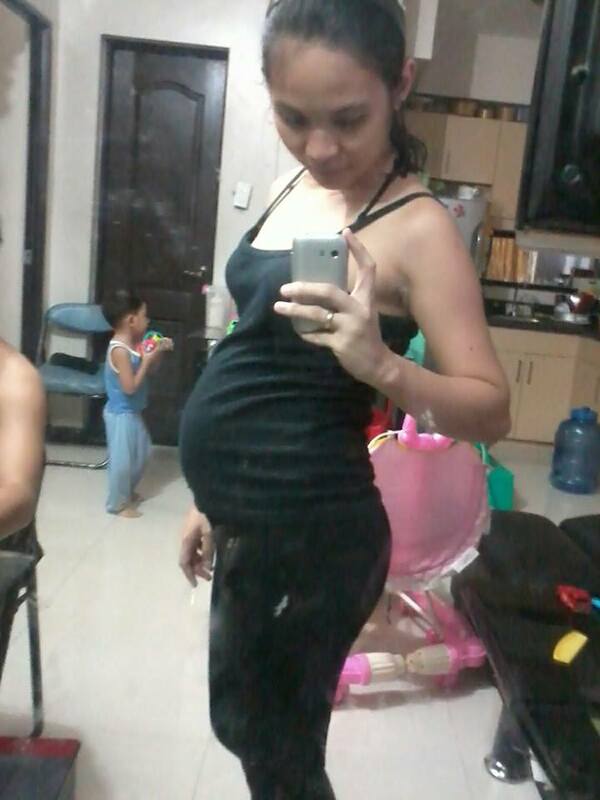 So in a span of 1 month you can actually say that my life is kinda' sedentary, which isn't something so good especially that I am 6 months preggy with my 3rd. 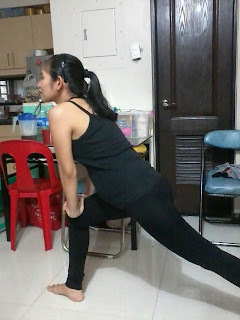 So to cope up and to promote a healthier lifestyle I tried out exercising. 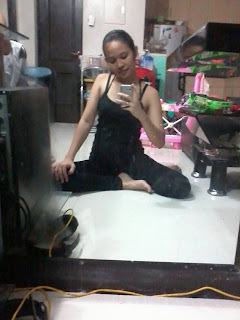 Just basic stretching, weight training and some dancing which is made even more fun with my kids joining me. 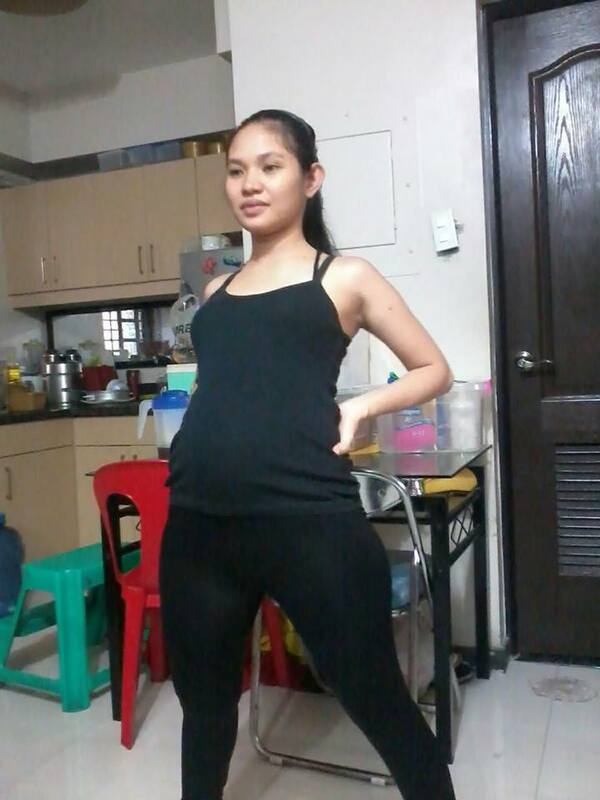 This is my 3rd pregnancy yet my first time to try this, my only exercise during my 2 previous pregnancies was just walking and swimming when I got time. It's fun plus I get a lot of benefits from it. To all preggo mommies out there I encourage you to try exercising as well even just the basic ones. I'll be sharing with you some information I have read on babycenter.com. But of course you must also consult your OB-Gyne for those who are on high risk and because every pregnancy is different. Walking: One of the best cardiovascular exercises for pregnant women, walking keeps you fit without jarring your knees and ankles. It's also easy to do almost anywhere, doesn't require any equipment beyond a good pair of supportive shoes, and is safe throughout all nine months of pregnancy. Swimming: Healthcare providers and fitness experts hail swimming as the best and safest exercise for pregnant women. Swimming is ideal because it exercises both large muscle groups (arms and legs), provides cardiovascular benefits, and allows expectant women to feel weightless despite the extra pounds of pregnancy. 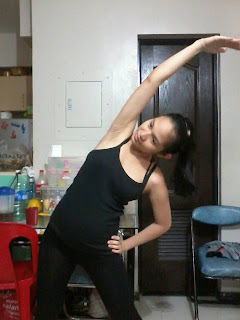 Low-impact aerobics: Aerobic exercise strengthens your heart and tones your body. And if you take a class for pregnant women, you'll enjoy the camaraderie of other moms-to-be and feel reassured that each movement is safe for you and your baby. Dancing: You can get your heart pumping by dancing to your favorite tunes in the comfort of your own living room, with a DVD, or at a dance class, but steer clear of routines that call for leaps, jumps, or twirls. Yoga: Yoga can help maintain muscle tone and keep you flexible with little if any impact on your joints. But you may have to augment a yoga regimen with walking or swimming several times a week to give your heart a workout. Stretching: Stretching is wonderful for keeping your body limber and relaxed and preventing muscle strain. Add stretching to your cardiovascular exercises to get a complete workout. Weight training: If weight training is already part of your exercise routine, there's no reason to stop, although most women should reduce the amount of weight they're lifting (you can do more repetitions to ensure that you're still getting a good workout). If you take the necessary precautions and use good technique (meaning slow, controlled movements), weight training is a great way to tone and strengthen your muscles. Pregnancy can sap your energy, but regular bouts of exercise will help you get through your daily tasks or cope with a demanding schedule: Exercise strengthens your cardiovascular system, so you don't tire as easily. With muscles that are strong and toned, you need less effort to engage in any activity, whether that means grocery shopping or sitting through meetings at the office. When you're carrying an extra 15 pounds (or more!) in front of you, finding a comfortable sleeping position can be a real challenge. But exercise will help you work off any excess energy and tire you enough to lull you into a more restful sleep. Overall, regular exercise stretches and strengthens your muscles, which helps your body cope better with the aches and pains of pregnancy. Stretches ease back pain, walking improves your circulation, and swimming can strengthen your abdominal muscles. 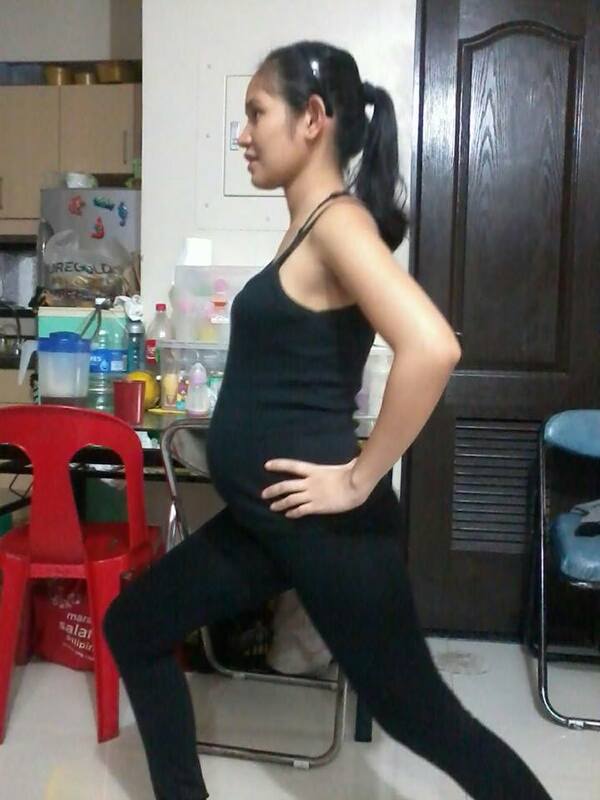 It makes perfect sense: The better shape you're in, the stronger you'll be come labor and delivery time. Giving birth is akin to running a marathon, which requires stamina, determination, and focus. Though it hasn't been well researched, training for childbirth through exercise may ease labor and even shorten the time it takes to deliver your baby. Having a child is a life-changing, momentous experience that can leave you feeling simultaneously ecstatic, overwhelmed, and anxious. One study found that exercise boosts levels of serotonin, a brain chemical linked to mood, putting you in better spirits. Watching the scale inch its way up to numbers you've never seen before can be disheartening. Staying active helps you feel better about yourself and improves your odds of gaining a healthy amount of weight. 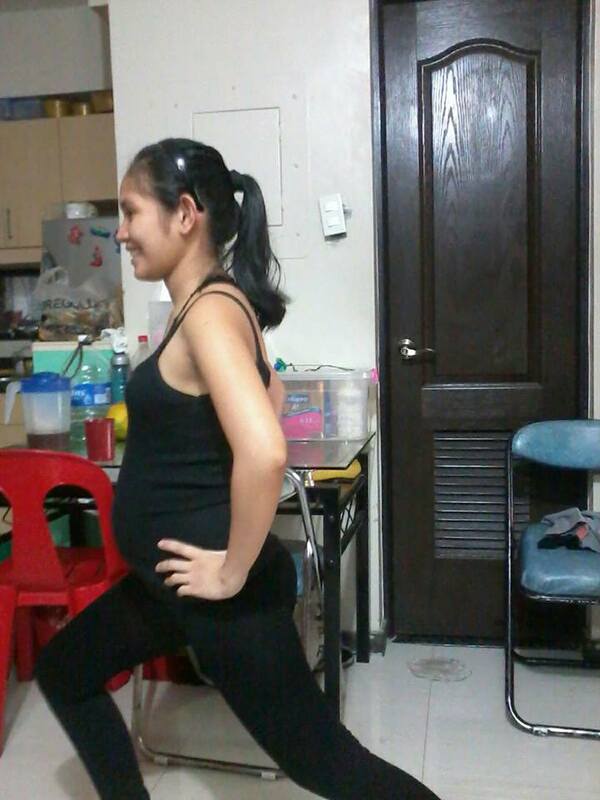 This alone is motivation enough for many women to embark on a pregnancy exercise regimen. When you've maintained your strength and muscle tone all through your pregnancy, your body will have an easier time bouncing back after you give birth. 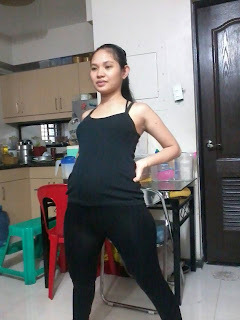 You’ll also gain less surplus weight if you exercise during your pregnancy. Well I just started out the other day and hopefully will be able to comply with it all through out my pregnancy. Who wouldn't wanna feel better and be healthier?